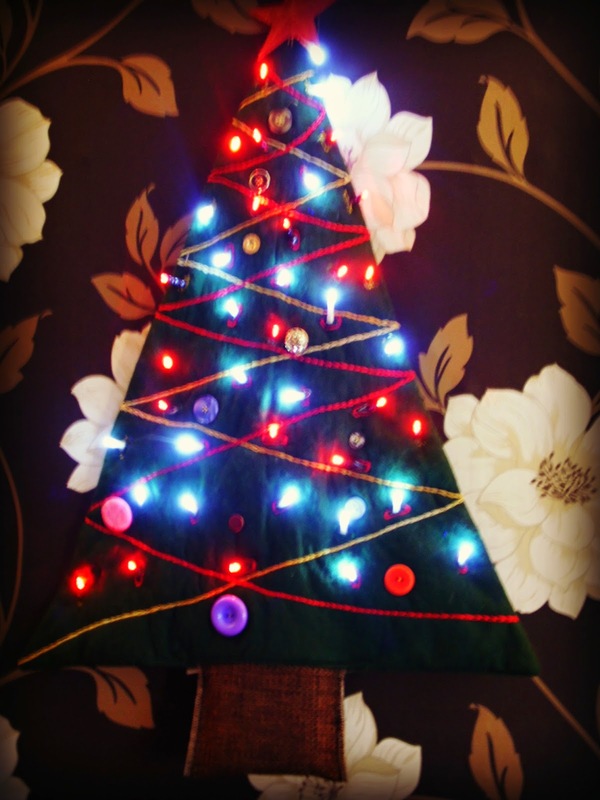 Ojo's World: Home Made Tree! As promised, I am showing you how I made the Christmas tree, from My Sunday Photo. It really is quite easy to make, if a little time consuming. It can also be made quite frugally. 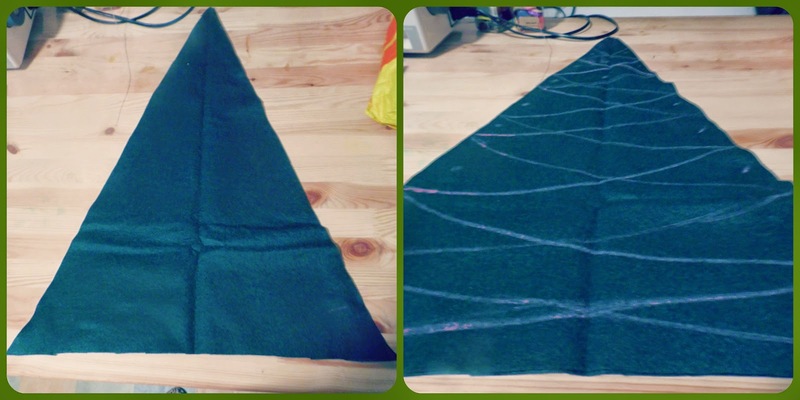 The main bulk of it is made with green felt, I bought 1 metre specifically. If you want to do it 'on the cheap' I would recommend going to your local pound shop and picking up 2 Gift sacks! They would be around the right size. Next, you need to layer the tree with some thin wadding. I used a lightweight one so it would give it some weight, but also give it a lightly quilted look. When doing this, I find it easier to pin an extra layer of material to the wadding. It stops it all getting caught up with the needle. Now you sew through the front piece of fabric, wadding and thin layer of extra material, following the pattern you have drawn on. I used a chain stitch, using yellow and red embroidery thread. Realistically, you could use normal cotton and a sewing machine (if it has a pretty embroidery stitch). Once you have done this, decide where you are going to place your 'baubles'. For this I used some of, the many, odd buttons I have around the house. Again, this is my choice, you could buy buttons that match, glittery ones maybe? Don't forget, when sewing on the decoration, you will need a seam allowance, to sew it all together, so don't sew them too close to the edges. 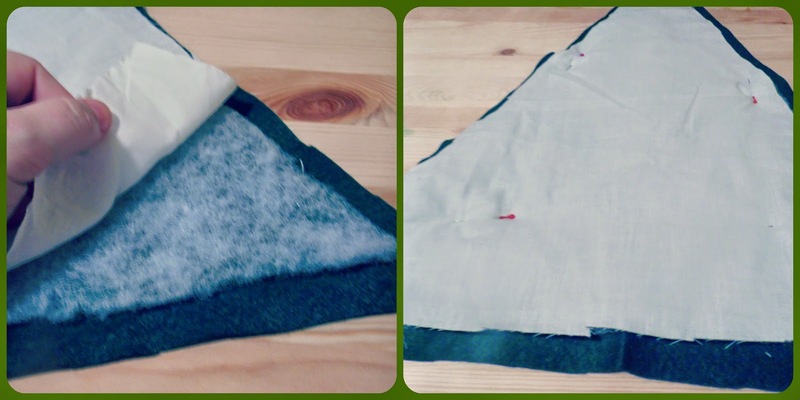 Once sewn, iron out the seams flat (it really does make a difference to the finish), then turn. Make sure you push out all the points! Now comes the time consuming work. You could do this on the machine, I decided to hand sew............40 button holes?!?! Crazy woman, I know. It's quite tough to get through all the layers with a machine, using fancy cotton, and I wanted it to be a bit shiny. 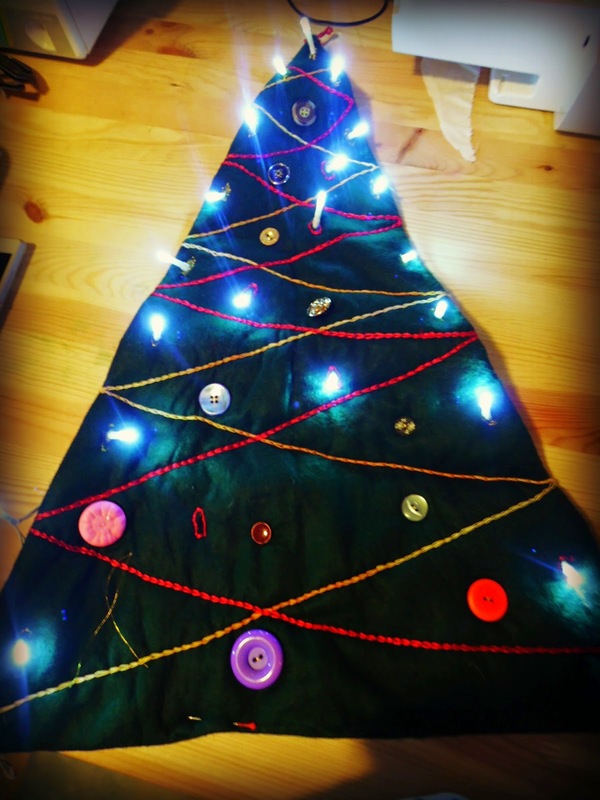 The reason for the button holes, is to put little lights through. I bought cheap battery operated ones from a discount store. A set in red and a set in white. In total they came to around £4! I would suggest looking around for the cheapest before buying, but places like B&M and Home Bargains, are great for these type of lights. Mark where you want to place the lights, I looked at the back, just to make sure they were evenly spread out, then stitch an oblong and cut a hole in the middle of each when finished. Now to create the Base. I wanted this to hold the battery packs. So I got a sturdy piece of brown fabric and overlocked around the edge. 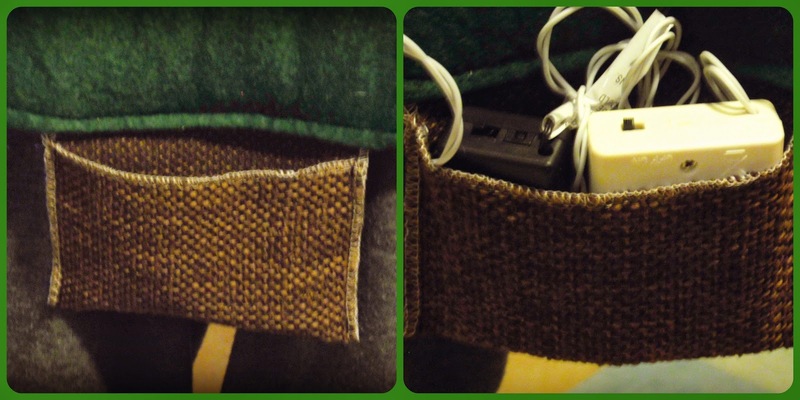 If you don't have access to an overlocker, then stick a zigzag around the edge! Fold the piece ALMOST in half, you need to leave the one side slightly longer to put inside the tree opening, and stitch up either side. 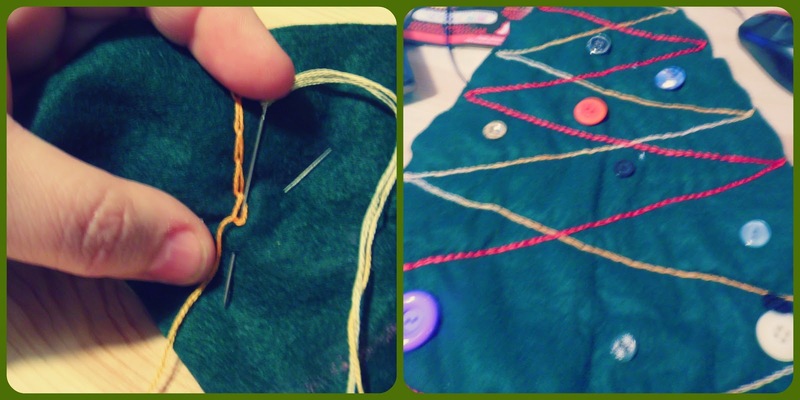 Place the longer piece inside the tree, pin it all together, and top stitch. You can now place your lights through the holes, from the back, hiding your battery packs inside the base! Finally, sew on a bit of ribbon to the top, to hang it with! I am over the moon with this, it's up on my wall and it's staying there! If you want to try and make this wall hanging, please let me know. If you have any questions, either ask them here, or one of the other social networks, you'll find me in most places as ojosworld. 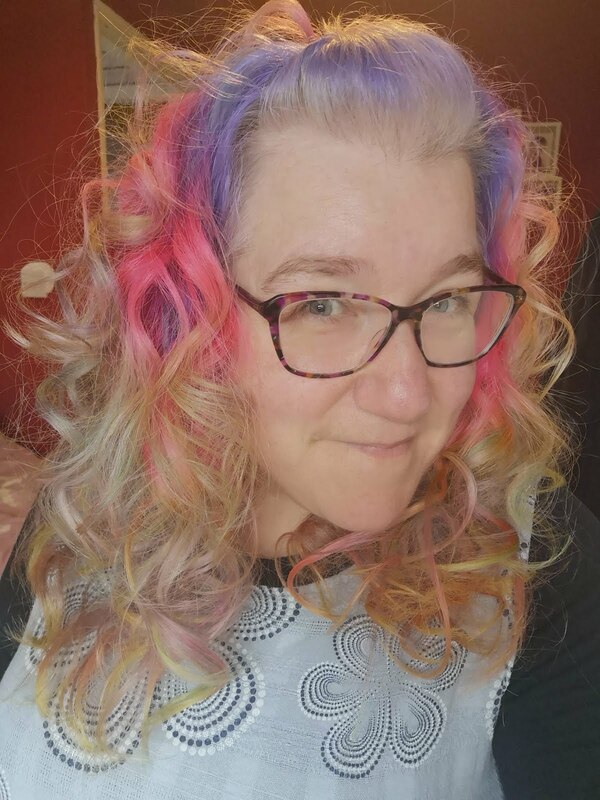 I would love to see your versions. 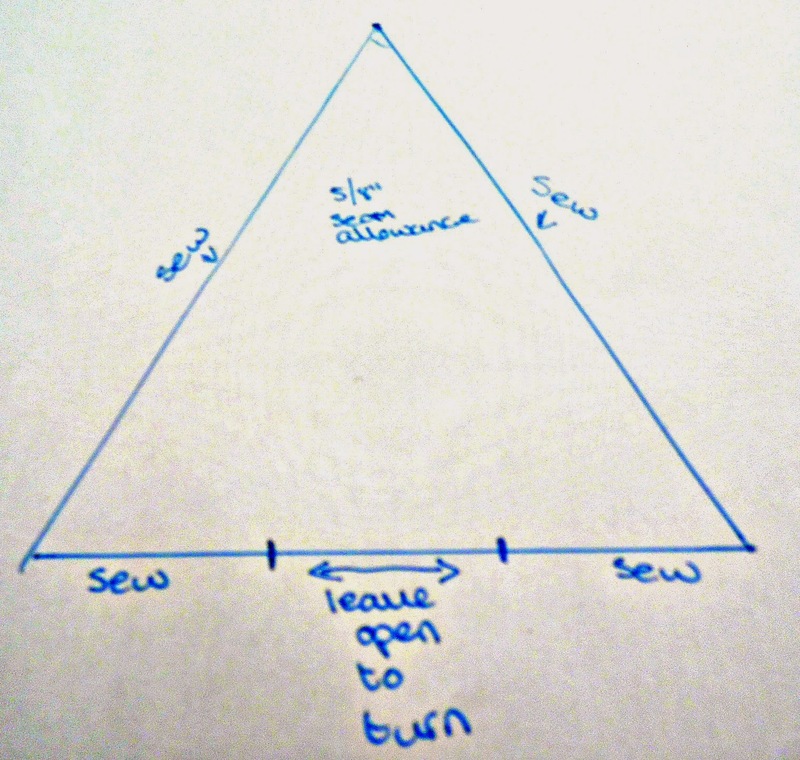 Wow I love this….but using a sewing machine is something I've never mastered!